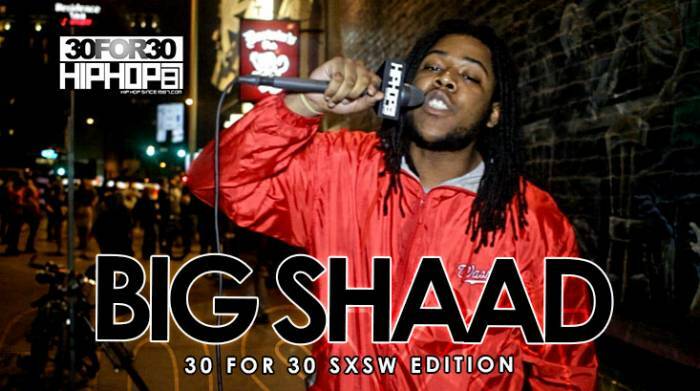 Welcome to HHS1987’s annual 30 For 30 freestyle series, 2015 SXSW edition. 30 for 30 is a month-long series consisting of a different emcee kicking an exclusive freestyle every day for 30 consecutive days. While HipHopSince1987 was on location for this year’s annual SXSW Music Festival in Austin, TX, we made sure to collect freestyles from some of the game’s rising talent. This video was shot by HHS1987’s own Brian Da Director and edited by HHS1987’s Rick Dange. Here is DC spitter Big Shaad dropping a freestyle.